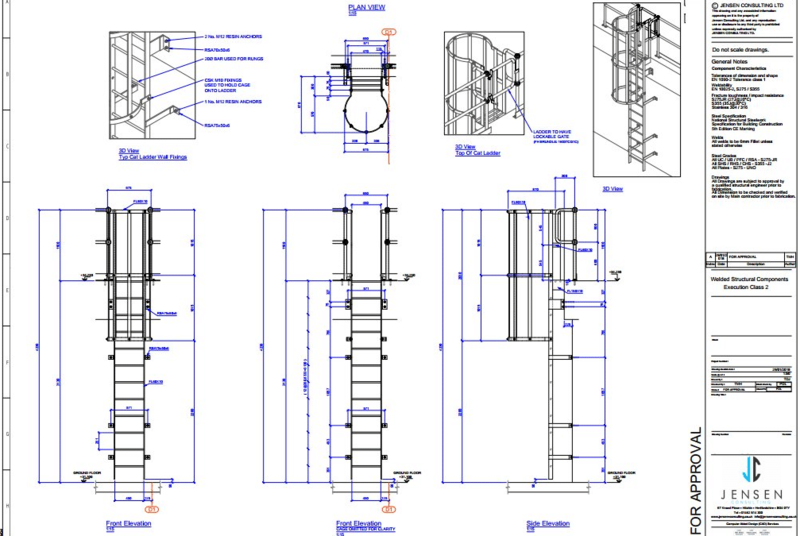 Steel detailing firms have enjoyed the benefits of progressing from 2D CAD to a 3D detailing solution. The productivity gains and increased accuracy are palpable, and more profitable business opportunities present themselves. When the global economy took a catastrophic downturn in 2008, one little-known casualty was the adoption of 3D detailing. With uncertainty around revenue, many steel detailers chose to stick to what they knew. But, ultimately, everyone knew that 3D detailing would be the industry’s future, and gradually it became clear that anyone who didn’t make the leap would be left behind. There were many reports of companies losing business because they lacked 3D detailing capabilities. Today, with the global recession well and truly behind us, most steel detailing companies have embraced the new technology. And one of the industry stalwarts is Tekla BIMsight for creating complex and functional 3D steel detailing. Tekla Structures enables companies like Jensen Consulting to increase their steel detailing capabilities whilst providing a broader choice of fabricators and attracting business from a greater range of clients. Steel detailers who use Tekla can complete jobs in an accurate and timely fashion, leading to more work and improved relationships with clients. With a skilled Tekla fabricator, the software ensures projects are 100% accurate and completed far quicker than if they were produced with CAD. You will find that a Tekla fabricator is very proactive from the outset of a project, requesting information from the design team to ensure the model is completed productively. By adopting Tekla, firms can do more in a shorter time frame with fast revisions, no bill of material errors, and no issues with considering how a structure will fit together on site. Tekla Structures automates the bill of materials, and there is never any doubt that a structure will fit together. Fabricators are no strangers to 3D models, and most now drive their steel fabrication machinery via data imported from models. If they can be provided with such data, their processes can be carried out far more quickly than if they have to create the data manually from scratch for every part. Tekla enables detailers and fabricators to work from the same models, improving their relationships and ensuring processes are carried out swiftly and efficiently. Thanks to Tekla, our team at Jensen Consulting are able to work with some of the country’s top-flight fabricators on jobs. With a smoother integration of different phases of the process, everything runs like a well-oiled machine. The benefits of sharing 3D models far outweigh any liability risks that might arise. Through the sharing of Tekla models, the detailers, owners, design teams, contractors and engineers can all be on the same page. This saves on manual work and reduces the likelihood of errors. 3D detailing is the way of the modern world, and it’s important to work with a partner that has genuine expertise in the field of Tekla detailing. Before Tekla, other 3D detailing software came and went, many of which were difficult to use and put people off the idea of 3D detailing. As intimidating as new software can sometimes be, it’s worth the effort to reap the benefits of 3D detailing with Tekla. At Jensen Consulting, we are proficient in the advanced features of the software and can shave time off detailing projects by both using standard features and creating custom components in Tekla. If you would like to explore our services as a possible partner in your next project, please feel free to contact us and let us know how we can be of assistance.